Nasheli Jiménez del Val (Mexico City, 1978) received her BA degree in Graphic Communication in 2002 from the National School of Arts (ENAP-UNAM, Mexico) with a dissertation on 1968 Mexican political posters. She went on to read for her MA degree in Political and Social Studies with a dissertation on subversion in anti-war propaganda during the Iraq war; she was awarded her degree with Honours from the Faculty of Political and Social Sciences (FCPyS-UNAM, Mexico) in 2005. She received her PhD degree in Cultural Studies from the School of Journalism, Media and Cultural Studies, Cardiff University (UK), in 2010. Her PhD thesis focuses on the role that printed images of cannibalism played in the construction of European discourses of New World otherness during the conquest and colonial periods of the region (1494 – ca. 1750). Her research centers on the relationship between power and images, mostly in a Latin American context. Her specific research themes include: othering and the body, Foucauldian and postcolonial theory, and coloniality and Latin American critical theory. She has worked as a researcher on various projects, such as the national exhibition “Los pinceles de la historia. La arqueología del régimen, 1910-1955” (National Museum of Art, MUNAL, Mexico), an exhibition on Mexican political iconography in the 20th century. From 2003 to 2004 she was J. Paul Getty Trust-Latin America visiting researcher at l’Institut National d’Histoire de l’Art (INHA, Paris), where she was part of the Art and Globalization research axis. More recently, she was fixed-term lecturer in Spanish and Latin American Studies at the School of Languages, Cultures and Religions, University of Stirling (UK); during this post she developed several research-led modules on Latin American culture and contributed actively to the School’s research output. More recently, she was fixed-term lecturer in Spanish and Latin American Studies at the School of Languages, Cultures and Religions, University of Stirling (UK); during this post she developed several research-led modules on Latin American culture and contributed actively to the School’s research output. She has also held a postdoctoral fellowship at the Instituto de Investigaciones Estéticas, UNAM; Programa de Becas Postdoctorales en la UNAM, Mexico, following a research program focusing on the figure of the Latin American sovereign in 18th century European iconography. She is currently Beatriu de Pinós postdoctoral fellow at the University of Barcelona, where she coordinates the research group Art, Globalization, Interculturality (AGI), headed by Professor Anna Maria Guasch. 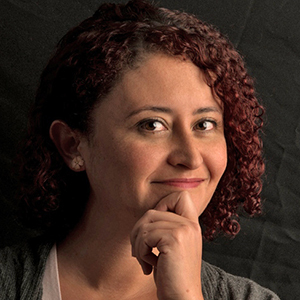 She is also Editor-In-Chief for the journal Revista de Estudios Globales y Arte Contemporáneo associated to AGI. She is developing a research program on representations of the colonial body in Spanish iconography entitled Body Material, Body Politic: Imagining the Colonial Body in Spanish Iconography, 1650-1820.